This easy keto appetizer can be served either cold or warm and melty! You'll find instructions for both in the recipe card below. If you take a look at the ingredients list on imitation crab you might just be surprised of what it's made of. For those of us on a keto diet, let's just totally avoid that junk! Instead, choose fresh crab and if you buy canned make sure you read the ingredients because sugar can be hiding in there! This keto crab dip can be served chilled or hot and melty. Either way, we love using pork rinds as a crunchy substitute for chips. To make this dip warm and melty, simply bake it in a 300 degree oven for about 20 minutes. We like to top this version with some freshly shredded mozzarella cheese. Get The Ingredients Used In Keto Crab Dip! 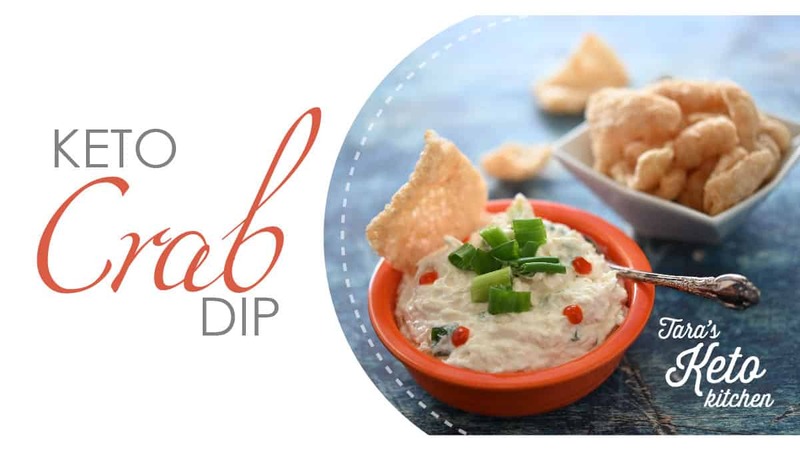 This keto crab dip can be made as a cold dip or heated in the oven to make a melty, warm dip!See the notes for instructions for baking this keto appetizer. Warm the cream cheese & sour cream so they will mix together easily. In a medium sized mixing bowl, mix together all the ingredients. Cover and chill for at least 8 hours to let the flavors develop. Serve with pork rinds for a delicious keto appetizer! Do not use imitation crab for this recipe. Imitation crab contains ingredients including wheat starch, corn starch, sugar and sorbitol. All things we want to avoid on a keto diet. Optionally cover with grated cheese of your choice. Bake for 20 minutes or until warm and melty in the center. Serve with pork rinds for a warm, melty keto appetizer. 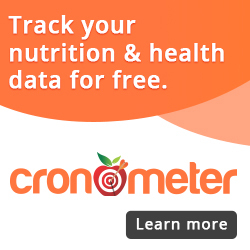 Nutrition Facts are an estimate only and for one full batch. Warm the cream cheese and sour cream so they will mix together easily. In a medium bowl, mix together all ingredients until combined. Chill for at least 8 hours to let the flavor develop. OR bake in a 300 degree oven for 20 minutes. Serve with crunchy pork rinds!